Oh Summer! Summer comes and so do all the outdoor toy options. However, if you're like our family you buy what works for you at the moment and then later need to upgrade due to more children. When our 1st turned 1 for her birthday my parents bought her a sandbox. 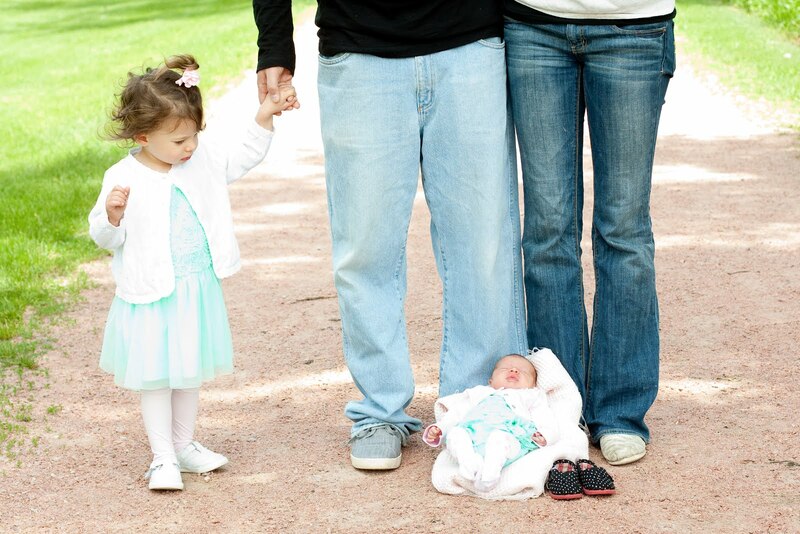 It was absolutely perfect just for her and a friend. However, now that our oldest is an older sister and she has friends that come over, we plan to upgrade a couple sizes for next summer. We were going to purchase a 2nd pool so that the littles would have a kiddie pool and the older girls would have a pool that they can use the slide in without hurting the littles. Knowing that we plan to upgrade the sandbox, we decided to keep the old sandbox and convert it into a kiddie pool. This isn't going to happen until next year, but now we can save some money and instead of buying both a second pool and a larger sandbox, all we have to purchase is a larger sandbox. Yes, an additional pool is only $10.00, but why spend the $10.00 when we don't have to? This summer use what you have, just because it's made to be one thing, doesn't mean you can't convert it to be something else that works for your family. Get creative and show your kiddos that it's good to think outside the box. 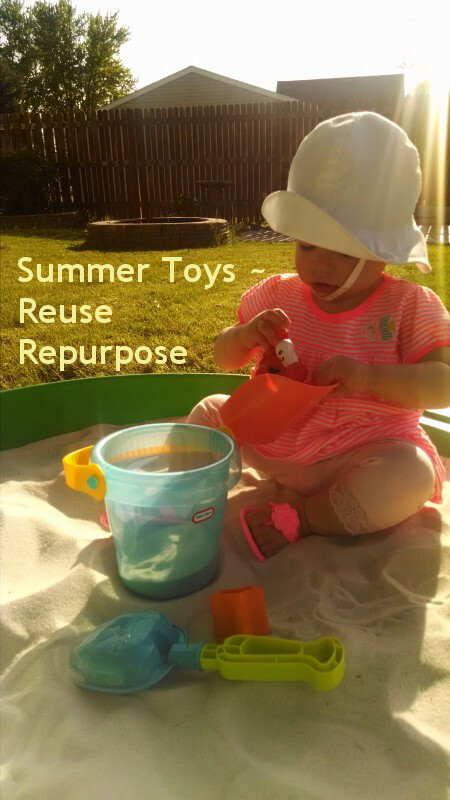 Reuse and Repurpose this Summer! Where did you get the sand? It looks much smoother than ours!